The Chennai Meteorological Centre officer informed that a cyclone is set to be formed on 25th April over the southwest Bay of Bengal. 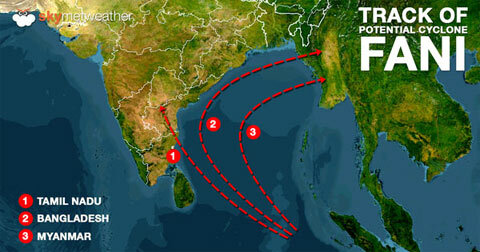 This cyclone may move towards Tamil Nadu on 29th April. This will cause prospects of heavy rains. 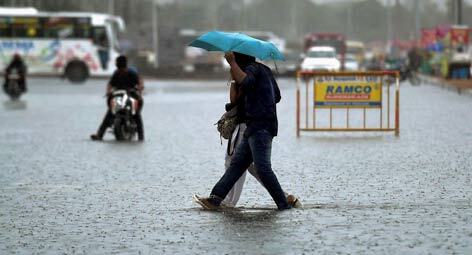 The Chennai Meteorological Centre has informed that there are prospects of heavy rains in a few places in Tamil Nadu. At the same time, the prevailing high heat intensity will persist. The amazing piece of news that has come out now is interior parts of the state of Tamil Nadu would get pre monsoon showers and would cool down. This has been predicted by the weathermen. A temperature of over 100 Degrees has been recorded in 11 places on Tuesday, 9th April. A maximum temperature of 105 Degrees has been recorded in Karur Paramathi. A mild earthquake was felt in Andaman today (Monday, 7th April) morning. This was measured on the Richter scale as 5.0 Richters. The Chennai Meteorological Centre has informed that there are prospects of rain with thunder in 1 or 2 places in Tamil Nadu due to the low-pressure zone prevailing in the atmosphere. On 4th April (9 Yesterday, Thursday), 9 places in Tamil Nadu crossed the 100 Degrees temperature mark. A maximum of 103 Degrees was recorded in Salem. 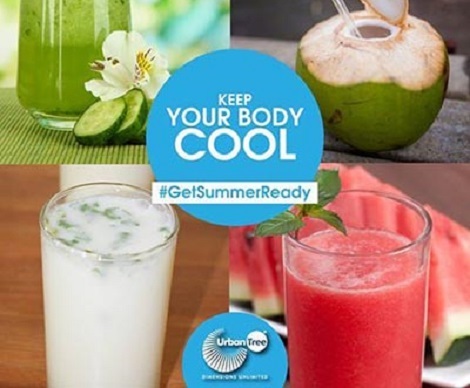 This is the peak season of summer when we need to take a lot of precautionary measures in order to protect ourselves from dehydration and other kinds of heat-related exhaustion or ailments like heat strokes. On Tuesday, 2nd April (yesterday), the temperature has crossed the century or 100 Degrees mark in 9 places!